1) I have been so exhausted by dinner time lately that I have been getting to bed much earlier this past week. The girls were also up more often- if it wasn't Summer awake, then it was Ellie, and vice versus. I feel like I've been moving non-stop and my body needed rest. Two days ago while both girls were napping at the same time I worked out on our elliptical for 45 minutes. It was great. I haven't done that since Summer was born because Ellie stopped her naps (and just started again recently) so I never had time off. I have been feeling much more rested in the early mornings when Ellie gets up and I've still been productive through the day. So, that's an incentive to keep up with my early bedtime. 2) I can't believe Ellie will be 3 in just over a month! 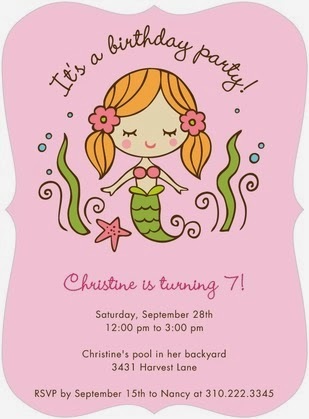 She wants a mermaid birthday party. Actually she really wants Ariel, but my plan is to incorporate a few Ariel items (maybe invitations) and keep it neutral. I'm keeping it small this year. Just a few close friends and family. Especially, since Summer will be 1 in May and since we did a big party for Ellie's 1st we want to do the same for Summer. In the future we'll have the option of a combined party, which would be fun until they get older and want their own special party (I totally get this). I'm loving this invite from Tiny Prints. They are having 30% discount on all orders until March 4th with the code "BDAY10." I love their address labels (I have these) and I'm thinking of ordering this monogrammed notepad. 3) I scored two awesome pieces of furniture on a garage sale online. These were the pictures posted and they are now being stored in our garage until I can paint them (I need some warmer weather). They are wood with laminate tops. The drawers are all in excellent condition, but they need new knobs. I can't wait to give them a makeover! 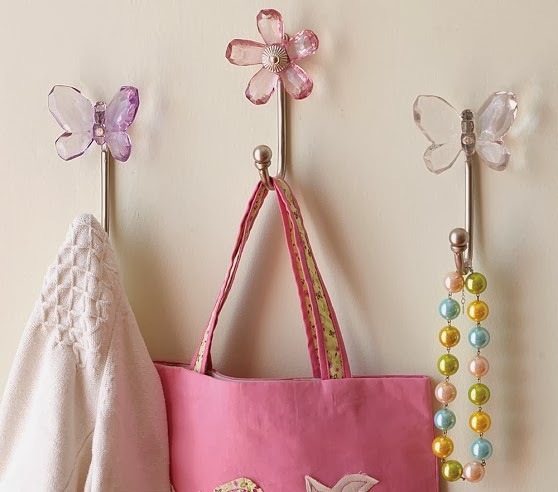 4) I bought these 2 adorable pink flower hooks for the girls bedrooms from Pottery Barn Kids last week. One for each of their closet doors. I had a $10 coupon for making a purchase over the Holidays so I used it towards the hooks. The flower is sold out online, but the butterfly are available and are on sale. 5) I bought this new kitchen rug from Kohl's. I don't shop there often, but my cousin had one in yellow in her entryway and I loved it. I love the color (it's more turquoise) and it's softer than our previous chevron one. 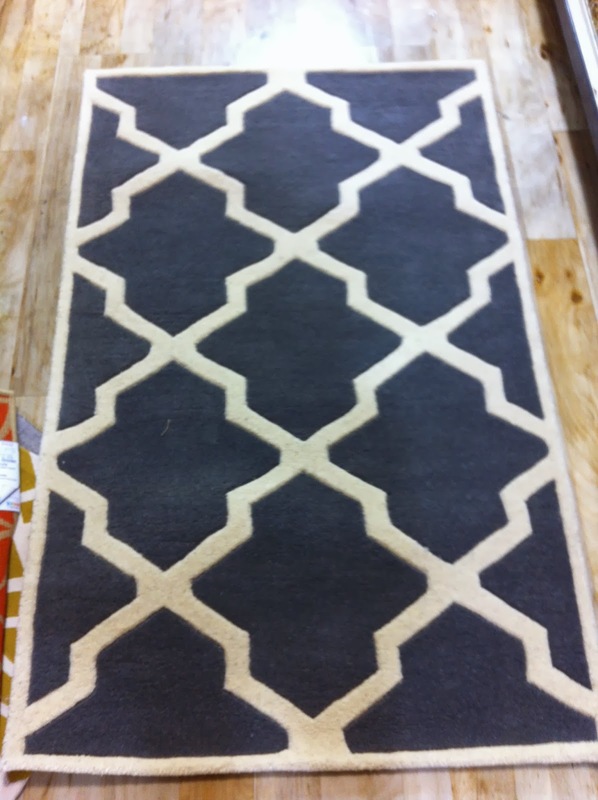 Kohl's has a huge selection of patterned rugs you can check out here. I also checked Home Goods first and found this one, which would be perfect for an entryway. I wish I had a place for it! I love the color, quality, and price at only $50. 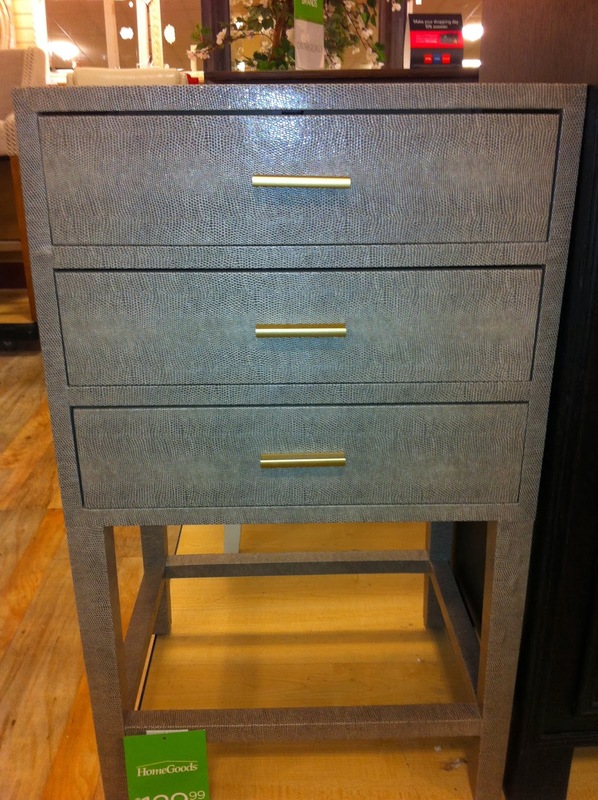 6) I want this side table I saw at Home Goods yesterday. I'd use it for a bed side table, but it's a little pricey for me at $120. Plus, it would look much better with a twin! 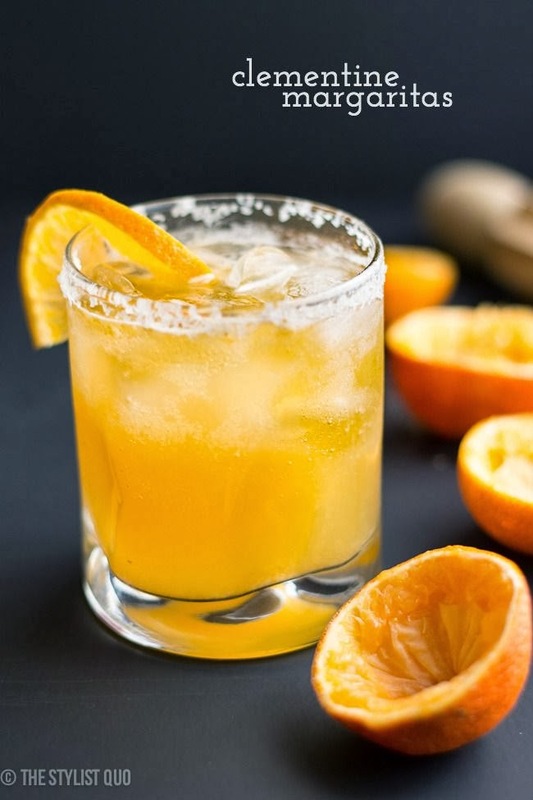 7) I pinned this cocktail last week and it's been on my mind since then. I may try it tomorrow- my reward for getting up early for boot camp. Have a great weekend!